Welcome to the new Nexus! 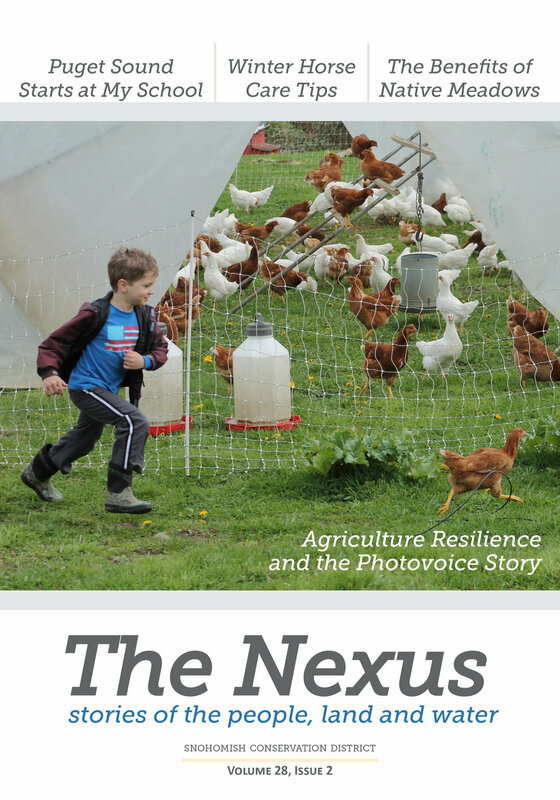 All of us at Snohomish Conservation District are excited to bring you this edition of The Nexus; we're not calling it new and improved, just re-imagined. Inside you'll find the same stories and helpful tips you've come to appreciate over the last 27 years. There are noticeable differences, of course, but we hope you enjoy the larger, more vibrant photos and the smaller, compact size. 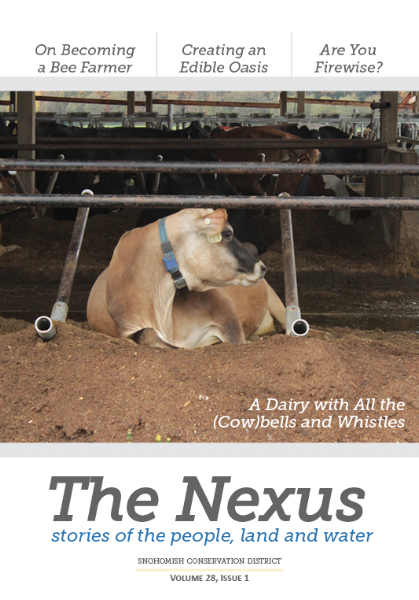 The Nexus has been designed to match our increasingly on the go lifestyles, designed to slip into a bag, be read while waiting for the kids to finish baseball practice, or simply, enjoyed on your porch with a warm cup of coffee. Whether you've been with us all of these years, or this is the first time you've picked up a copy of The Nexus, welcome. These stories are for you, they feature your friends, your neighbors, and the land and water that connect us all. We hope you enjoy this issue, and many more to come. We love to hear from our readers so feel free to send us your thoughts. You can also sign up for our monthly Nexus Digest email, peruse our website, or follow us on Facebook to stay up-to-date.